Well fall is in the air and it is time to get the gutters cleaned on your Crystal, MN home. Gutter cleaning is an important many Twin Cities homeowners overlook until the spring rains hit and it is too late to get them cleaned before the water starts pool and overflowing the gutter system. We are a gutter cleaning company servicing the Twin Cities area including Crystal. We don’t cut any corners in the cleaning of your gutters and hand clean and flush each section to make sure they will be functioning properly when the next rain comes. How we will clean the gutters on your Crystal home. The first step to cleaning your gutters is to hand scoop all the debris out of each section of your gutter system and bag it for removal when we leave. After we have cleaned out all the debris from your gutters we flush the gutter system with a hose making sure that the downspouts are not clogged. This is the only way to ensure your gutter system is working properly since often downspouts are clogged further down and out of sight. When is the best time to clean gutters in the Twin Cities? The best time for gutter cleaning in Crystal, Minnesota is in the fall after the leaves have left the trees. 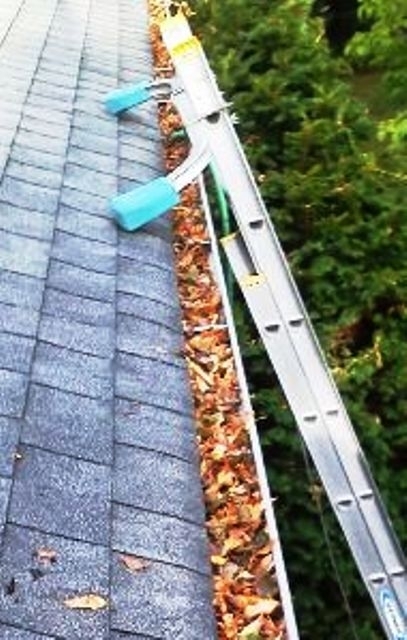 Cleaning the gutters out in the fall will ensure that they are clean going into winter and ready for the spring rains. If you don’t get around to your gutter cleaning in the fall we can do it in the spring also, but you do risk the rains coming before your gutter system is clean. Otherwise some folks simply wait till there is a blockage in their gutters to get their gutters cleaned. Going this route means your gutters are already failing and water might already be causing damage to your home. What else can River City Home Solutions LLC do for me when they are at my home? Because we use a hose to flush the gutter system when cleaning them out odds are we will accidentally spray some water on your windows. Because of this we do offer a “quick” window clean to our gutter customers which is not as detailed as our full clean, but we promise you will be happy with the value. This clean is only available on the outside of your home, but we are always more than willing to clean the inside also doing a full clean. So how do I get my gutters cleaned on my Crystal home? The first step is contacting us either by phone or through our contact form(preferred) making sure to leave your full address so we can come out and give you a free estimate. Once you have the gutter cleaning estimate in hand you can decide if you want to schedule up the service. We usually can fit you in within one week’s time. What do I need to do the day of my gutter cleaning? Besides making sure the exterior water is turned on there is nothing else you need to do, heck you don’t even need to be home when we come to clean the gutters on your Crystal, Minnesota home. If you are not home we will simply leave the invoice in your front door for you. Gutter cleaning prices depend of the size of your home and how high your gutters are. The most basic ramblers typically run $75-100, a normal two story home might be $100-150, and the largest homes we have done run $200-300. What services does River City offer in the Twin Cities area? Window Cleaning – We offer window washing services on both homes and businesses throughout the Twin Cities. We can do outside only or inside/outside cleans on your Crystal home. Gutter Cleaning – River City will hand clean your gutter system and flush it out to ensure it is flowing properly. Don’t risk climbing a ladder to clean your gutters when we can free up your weekend and have it done in a jiffy! Serving the following area: 55422, 55427, 55428, and 55429.